The locations of gravels with well-rounded quartzites occurring far west from their apparent source in northern and central Idaho, northwest Montana and adjacent Canada are described from extensive field studies over the past twelve years and from the literature. These quartzite gravels are found as far west as the Pacific Ocean, having been transported about 700 km from their nearest source. They are found on the tops of mountains and ridges, as well as in the bottom of valleys. The quartzite gravels represent a thin veneer or lag in some places. The quartzite boulders and cobbles are commonly iron-stained and contain percussion marks. Gold is sometimes found in the matrix. These deposits provide strong evidence for the Recessive stage of Noah’s Flood. Figure 1. Outcrop areas for quartzite in northern and central Idaho and northwest Montana. Idaho batholith in west-central, Idaho, also indicated. In Part 11 we summarized the locations where well-rounded quartzite* gravels are found east of their source outcrop areas in the Rocky Mountains (figure 1). The quartzite source rocks outcrop in the Belt Formation of the northern Rocky Mountains of northwest Montana, northern Idaho, central Idaho and small areas of northeast Washington. Quartzite boulders and cobbles have been transported at least 1,000 km onto the plains, as far east as northwest North Dakota. These quartzites are often found in gravels on high plateaus on the plains. We also documented in Part I the spread of quartzite gravel through the mountainous areas of southwest Montana and adjacent Idaho and into northwest Wyoming. In these areas, the quartzite gravels are sometimes found on mountaintops, such as the northern Teton Mountains, or deposited over 4,000 m deep in valleys. 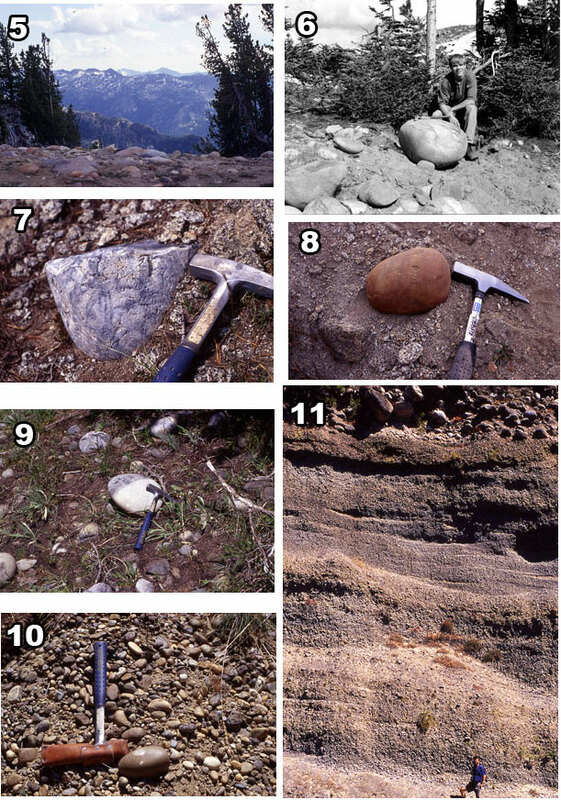 In this paper, we document quartzite gravel locations to the west of their source in areas in Oregon and Washington (figure 2). Quartzite gravels are found on mountaintops, ridges and in valleys and basins west of their source. Some quartzite gravel has even been found along the Washington coast about 700 km from its nearest source. Since the quartzite rocks transported west occur in gravels spread mostly over the Columbia River basalts, it is no surprise that rounded basalt clasts are often found in association with the quartzites. Sometimes, basalt forms the majority of the clasts* in the gravel deposits. One of the most impressive locations for well-rounded quartzite gravel is on top of Gold Hill, about 45 km north of Burns, central Oregon. Gold Hill has an altitude of 1,959 m ASL* and is the top of one of the mountains in the Blue Mountains, Oregon. Quartzite cobbles are also found on the ridges and hills 1–2 km west and northwest of Gold Hill. Small gullies and dirt forest roads have exposed cobbles that are covered with around 25 cm of soil (figure 3). The cobbles rest on ‘Miocene’ andesite*. (Uniformitarian names are used for communication purposes only and are not meant to imply acceptance of the claimed ages or an absolute, but compressed, geological column and timescale.) The clasts include quartzites and local lithologies. The average intermediate axis* clast size is about 5 cm with a maximum of about 15 cm. Very few of the clasts contain percussion marks*, and we saw no iron staining. Gold also occurs among the quartzites—the main reason it is called Gold Hill. Quartzite gravels are found on mountaintops, ridges and in valleys and basins west of their source. Some quartzite gravel has even been found along the Washington coast about 700 km from its nearest source. A second location visited in central Oregon is about 60 km west-northwest of Gold Hill in the Beaver Creek drainage, 15 to 25 km east of Paulina. Large, well-rounded quartzite cobbles outcrop surficially over an area of around 25 km2 (figure 4). They are also found 3 m deep in terraces along the south fork of Beaver Creek, mixed with about 50% local volcanic clasts. The average size of the quartzite cobbles is around 12 cm along the intermediate axis with a maximum of about 30 cm. About 5% of the quartzites have percussion marks, and there is very little iron staining. The cobbles and boulders appear to be matrix supported. These quartzites have been transported about 450 km from their nearest source to the east and northeast. Extensive outcrops of quartzite cobbles and boulders occur in the Wallowa Mountains, about 40 km east of LaGrand in northeast Oregon, mostly capping the western ridges and peaks.2,3 They occur at elevations ranging from 1,402 to 2,658 m ASL and are sometimes found underneath a capping of Columbia River Basalts. Figure 5 shows a ridge just southeast of Lookout Mountain, 2,500 m ASL, in the Wallowa Mountains that contains a patch of large quartzite gravel about 10 m thick. The literature describes a quartzite boulder that is 1 m in diameter,4 but the largest clast that we found had a diameter of about 60 cm and weighed about 200 kilograms (figure 6). The larger boulders commonly had percussion marks (figure 7); one of the reasons why Allen3 suggested the quartzite gravels were deposited in a torrential stream. One cobble even displayed an unusual chattermark trail all around it (figure 8). Figure 2. Locations of quartzite gravels in western Idaho, Oregon and Washington. Ninety percent of the boulders examined on Jim White Ridge, just east of Lookout Mountain, are quartzite. Many boulders show abundant percussion marks, and a few have pressure solution marks* (figure 9), caused by high pressure from the rocks that at one time lay above (see Part 1). Very few have an iron patina*. On Jim White Ridge, the boulders extend for 3 km north and northwest and cover an area of about 3 km2 . They sit on top of a pre-‘Miocene’ erosion surface, formed on granitic basement rock in the Wallowa Mountains. The extensive quartzite gravel deposit is up to 55 m thick on Jim White Ridge with clasts up to about 25 cm (intermediate axis). The boulders are matrix supported in friable, highly weathered, disaggregated batholithic sands and gravels, according to Allen.3 Most of the cobbles and boulders appear to be a lag*. Gold occurs in the matrix, and one in situ pile of gravel has been mined for placer gold. We have found quartzite boulders at other locations in the Wallowa Mountains that were not mentioned in Allen’s report. One area is 3 to 8 km southwest of Moss Springs Guard Station. This discovery widens the extent of the quartzite gravels and creates further problems for Allen’s ‘torrential stream’ hypothesis of transport. Quartzite cobbles and boulders are thinly scattered under the ridge tops of the Little Minam River drainage. There are probably more locations to be discovered in the Wallowa Mountains. Quartzite does not outcrop in the Wallowa Mountains, which is granite cored with a cap of Columbia River Basalts. The nearest source of quartzite rock is about 200 km to the east or northeast in central Idaho. Hells Canyon, a 2,500 km deep water gap, currently lies between the Wallowa Mountains and the quartzite source area. Allen did recognize that the quartzite gravels had a wider extent in northeast Oregon. He stated, in referring to the placer gold deposit on Jim White Ridge: ‘Similar placers containing quartzite boulders have been mined for gold at numerous localities in northeast Oregon.’5 Carson reinforces this statement: ‘Quartzite-rich alluvium and scattered boulders and cobbles are known from a wide area of northeastern Oregon.’6 Personal communication from Kevin Pogue and Robert Carson from Whitman College in Walla Walla, Washington, reinforces Allen’s statement. They said that there are quite a number of abandoned mines in the Elkhorn and Blue Mountains containing quartzite boulders and cobbles. One is in the vicinity of Greenhorn, which is 50 km west southwest of Baker. Brent Carter, a creationist geologist from Boise, Idaho, says that there are several gold mines in quartzite gravels in the northern Blue Mountains, southeast of Pendleton, Oregon. We have not investigated these other locations. Figure 3. Quartzite gravel from on top of Gold Hill, Blue Mountains of central Oregon. Quartzite gravel outcrops in numerous places from the vicinity of the Dalles, Oregon, to the Pacific Ocean. The gravels or conglomerates have been given several names, such as the Troutdale Formation, Satsop Formation, Hood River Conglomerates and Snipes Mountain Conglomerate. Uniformitarian scientists have generally settled on the Troutdale Formation for the Columbia River area. 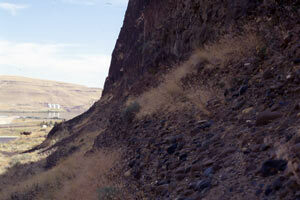 We will start our survey around The Dalles and move west. Quartzite gravels outcrop in many locations on the Horse Heaven Hills along the Columbia River slope in Washington at altitudes above 900 m.7–9 The highest location is at 1,330 m ASL east of Satus Pass at the crest of the Horse Heaven Hills, north of Goldendale, Washington.10 Quartzite gravels can be observed around 8 km north of Goldendale along Highway 97 (figure 10). At this location, the quartzite gravels are iron stained with percussion marks, but the clasts are small, even compared to other areas of the Horse Heaven Hills. 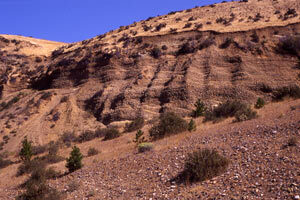 The quartzite gravels stretch both east and west of Goldendale in scattered outcrops. We have seen them as far northeast as Bickleton, about 45 km northeast of Goldendale. Quartzite gravels have also been described to be north and east of Bickleton.11 Many of these quartzite clasts, which usually form the majority of the clasts, are heavily iron stained with an orange or red color. Figure 4. Quartzites from the Bernard Ranch, 25 km east of Paulina, central Oregon. One very accessible location is approximately 11 km north of Goldendale. A side road turns west at Three Creeks Lodge. Two km along this road there is a small exposure of quartzite gravel on a large hill. On the steeper parts, it seems quartzite gravel is incorporated 2 to 3 m deep into the sandy soils. The largest intermediate axis measured in a cobble is 15 cm with an average of 3 cm. 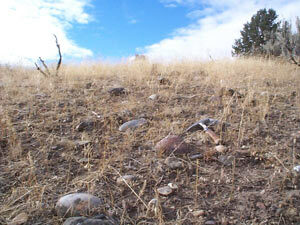 There are other quartzite gravel locations to the west and southwest of this hill. To the north of the Columbia Hills, gravels with as much as 90% quartzites are found on High Prairie.13 Hergenrather has examined these extensive quartzite gravels at this location and on hills west of the Klickitat River, where the locals call them ‘sugar agates’. The quartzite gravels are also called ‘potato rocks’ or ‘river rocks’ by the locals. These quartzite clasts are iron stained with an average intermediate axis of about 4 cm, but there is one boulder with an intermediate axis of 30 cm. About 14 km east of White Salmon, Washington, on an old highway that runs parallel to and north of Highway 14, quartzite gravels are found in what is called the Balch Lake Conglomerate that forms a 2-m-high cliff about 60 m above the road. Quartzite clasts form about 1% of the tightly-cemented conglomerate and are about 1 to 2 cm intermediate axis with a maximum of 4 cm. Figure 5. 10-m-thick outcrop in foreground of well-rounded mostly quartzite boulders just southeast of Lookout Mountain, Wallowa Mountains of northeast Oregon. Figure 6. 200 kg quartzite boulder from outcrop shown in figure 5. Sharp angled rocks in foreground are likely due to frost shattering. (Photograph by Paul Kollas). Figure 7. Percussion marks on a fractured boulder (probably developed by frost weathering) just southeast of Lookout Mountain, Wallow Mountains of northeast Oregon. Figure 8. Chattermark trail on a quartzite cobble, which goes all the way around clast, from just southeast of Lookout Mountain, Wallow Mountains of northeast Oregon. Figure 9. Quartzite with pressure solution marks from Jim White Ridge, Wallow Mountains of northeast Oregon. The pressure solution marks are faintly visible as whitish circles on the lighter part of the rock. Figure 10. Iron-stained, small quartzite gravel about 8 km north of Goldendale, Washington, along Highway 97. Wallowa Mountains of northeast Oregon. Figure 11. Planar-bedded, rounded volcanic conglomerate with about 25 to 30% quartzite clasts in the lower section from just west of the bridge over the White Salmon River, Washington. The largest clasts are volcanic. Dave Anderson provides the scale. The Troutdale Formation outcrops extensively to the east of the Willamette Valley, with quartzite gravels found north of the Clackamas River.25 We have observed quartzite gravels on the bluffs and road cuts next to the Sandy River Highway, just southeast of Troutdale, Oregon (figure 12). At 4 to 6 km southeast of Troutdale, quartzite makes up about 2 to 3% (in spots 20%) of the cobbles in this conglomerate. The cobbles are generally clast supported. We have found cobbles up to 10 cm in diameter. Quartzite gravels continue 25 km southeast up the Sandy River before they disappear.26 We have also observed quartzite gravels in the Troutdale Formation along Highway 14 east of Vancouver, Washington. These conglomerates were not deposited by the Lake Missoula flood that laid down a huge gravel bar in the Portland-Vancouver area. There are many small outcrops of quartzite gravel near the Columbia River from the Portland-Vancouver area west to the Pacific Ocean. The quartzites are mixed with clasts from the substrate basalts and andesites, which often form the majority of the clasts. The quartzite clasts are sometimes found on top of the lava substrate and sometimes interbedded.8,27 Lowry and Baldwin report quartzite gravels in the Boring Hills at 285 m ASL, southeast of Portland, and in the Portland Hills silt, west of Portland.28 We have observed quartzite gravels that cap Rocky Butte in Portland, Oregon, near the intersection of Interstates 205 and 84. Bretz also reports conglomerates in the lower Columbia Valley west of the Cascade Mountains that surprisingly contained up to 50% quartzite.29 Near the town of St. Helens, about 40 miles downstream from Portland, Oregon, 300 m depth of the Troutdale Formation, probably with quartzite clasts, is said to occur.30 The Troutdale Formation is also found intermittently from St Helens to the Pacific Ocean. Lowry and Baldwin write of quartzite gravels found on hills at 190 m ASL about 10 km south of Chehalis in southwest Washington, which is 60 km north of the Columbia River at Longview.31 Bretz has observed quartzite gravels in marine terraces along Willapa Bay, Washington, on the Pacific Ocean.32,33 The quartzite gravels had a base below tide and an upper surface up to 24 m high above the ocean. 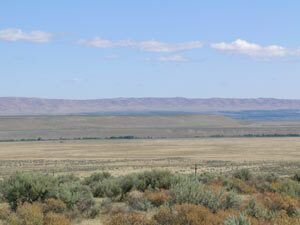 This location represents a transport of about 700 km from the nearest source of quartzites in central Idaho. Figure 12. Rounded volcanic conglomerate with a minor proportion of quartzites along the east bank of the Sandy River, 5 km south of Interstate 84. A very assessable location for bedded quartzite gravel is along the south flank of Snipes Mountain, a low east-west basalt ridge that outcrops in the lower Yakima Valley south of Interstate 82 between Granger and Sunnyside (figures 13 and 14).38 Quartzite gravels also outcrop within the city of Sunnyside. These have been called the Snipes Mountain Conglomerates, after the name of the basalt ridge. The gravel is horizontally bedded and quartzite comprises about 60% of the clasts, which are heavily iron stained. In situ quartzite gravels are also located on the next anticline to the north. This is the Saddle Mountains, where an outcrop occurs just east of Sentinel Gap on the Columbia River through the Saddle Mountains at 548 m ASL.40,43 Downstream from Sentinel Gap, quartzite is often found in a huge sloping gravel bar about 40 m high and 200 km2 that was laid down during the Lake Missoula flood (figure 15). It is called the Wahluke slope. Just north of the Vernita Bridge, about 65 km east of Yakima, we found that the bar contained 1 to 3% quartzites with a maximum intermediate axis of 20 cm and an average of 5 cm. Figure 13. Horizontally bedded Snipes Mountain conglomerate at its type section just south of Snipes Mountain in the Lower Yakima Valley between Granger and Sunnyside. One of the most surprising claims for quartzite gravel locations is on the east slopes of the Cascade Mountains on some of the anticlinal ridges west of the Columbia River Basalt anticlines.34 Unfortunately, no specific locations were mentioned. Such quartzite gravels on ridges probably would explain the discovery of two quartzite clasts 2 to 4 cm in diameter in the Thorpe Gravels, 15 km west of Ellensburg, Washington, just north of State Highway 10 (figure 16). The Thorpe Gravels are horizontally-bedded volcanic conglomerate that outcrop extensively west and north of Ellensburg, forming flat-topped terraces. The gravel is up to 180 m thick in the northwest, thinning to about 15 m at the southern margin 25 km away.45 There are also isolated outcrops east of Ellensburg besides fairly extensive outcrops west of Yakima, Washington. The Thorpe gravel is not associated with glaciation, and implies a large west to northwest source of water moving east of the Cascade Mountains and aggrading the Kittitas Basin as well as the basins west of Yakima. Quartzite gravel locations in south central Washington are commonly on ridges or anticlines, but there are also several locations at lower elevations. One easily accessible location is just south of Lower Monumental Dam on the Snake River, approximately 65 km northeast of Pasco, Washington. These quartzite gravels are sandwiched between the valley side, cut in the basalt, and an intracanyon flow of Saddle Mountain basalt above (figures 17 and 18). There are around 15 to 25% quartzites among the other mostly basaltic cobbles and boulders. The average size of the quartzites is around 7 cm intermediate axis with a maximum of around 20 cm. Another location for quartzite gravels is in portions of the Ringold Formation that outcrops in the vicinity of the Columbia River southeast of Sentinel Gap.46,47 This is around the White Bluffs area that is now on the Hanford Nuclear Site. Most of the exotic clasts are quartzites.46 These quartzite gravels are extensive, having been encountered in many drill holes in the central Pasco Basin.48 The Ringold Formation is below deposits of the Lake Missoula flood. Figure 14. Close up of Snipes Mountain conglomerate. Note heavily iron-stained quartzite cobble below rock hammer. Figure 15. View north with the Columbia River outlined by trees running west to east in the middle of the photo. A huge gravel bar can be seen just north of the Columbia River which was formed by the Lake Missoula flood. The gravel contains a small proportion of eroded quartzites. The Saddle Mountains, a basalt asymmetric anticline, in background. Figure 16. Horizontally-bedded Thorp gravel forming a terrace 75 m high north of Highway 10, 8 km west of Ellensburg, Washington. Figure 17. Quartzite and basalt conglomerate overlain by an intracanyon basalt flow in the Snake River Valley just downstream from Lower Monumental Dam. Figure 18. Close up of the well-rounded conglomerate cobbles and boulders shown in Figure 17. There is a well-developed clast imbrication* showing that the current depositing the gravel was flowing toward the west. Gravels and conglomerates outcrop extensively in the Lewiston, Idaho/Clarkston, Washington, area and upstream on the Snake River through Hells Canyon. There are also gravels associated with the Lake Missoula and Bonneville floods,16 but the gravels under consideration are not associated with those events. The gravels containing quartzite are more than 100 m thick and up to a height of 375 m ASL. They contain a wide variety of igneous and metamorphic rocks.51–53 We observed such gravels about one km west of Little Goose Dam, well down the Snake River from Clarkston. The rocks are mostly well-rounded, iron-stained quartzites. This should not be too surprising, since the Belt Supergroup outcrops about 80 km to the east and 40 km to the northeast. 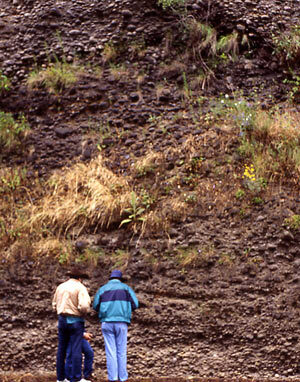 Some of the gravel is covered by an intracanyon lava flow, just like the gravel well downstream at Lower Monumental Dam.54 There are also large-scale cross beds 4 m thick in the gravel.55 The gravels at Clarkston, Washington, were once thought to be ‘Pleistocene’, but they are now considered to be ‘Pliocene’ or ‘Miocene’.56 Such redating of gravels from the ‘Pleistocene’ to the ‘Pliocene’ or ‘Miocene’ seems to occur without a full justification. There are many locations where quartzite gravels are either reported in the literature or have been found by us elsewhere in Washington. In east-central Washington, quartzite cobbles and boulders were discovered in a clay pit on a divide southwest of Spokane in the vicinity of Cheney, Washington59,60 Because these quartzites were striated* and one was marked with chattermarks*, Bretz considered them glacial and thought that the Cordilleran Ice Sheet had extended south of Spokane. 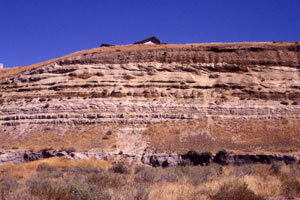 Bretz thought that the ‘till’ continued underneath the Palouse Formation silts to the south. However, the ice sheet never developed this far south, so the quartzite gravels are pre-glacial. Warren confirms that quartzite gravels do occur on top of the basalt beneath the Palouse Formation in east-central Washington.61 We have examined several of these locations below the Palouse silt formation and have seen rounded basalt gravels but no quartzites in the gravel. Another location is around Leahy Corner, approximately 27 km west of Electric City on top of the Waterville Plateau near the junctions of State Highways 17 and 174 in north-central Washington. There are random sands and gravels left in the nooks and crannies of basalt where Hergenrather found two small quartzite cobbles about 3 cm in diameter. This elevated location is probably still in the path of the Lake Missoula flood,16 so it is possible the quartzite clasts were transported by that flood. A surprising location for quartzite gravels is in the Puget Sound area of western Washington.62 This occurrence was described in an innocuous sounding article about a trace fossil in a quartzite cobble. The quartzite was found on Lopez Island in the San Juan Islands of northwest Washington northwest of Puget Sound! The article went on to reveal that quartzite cobbles are common but minor lithologies in the glacial deposits in the Puget Sound Lowland and San Juan Islands. The quartzite clasts are well rounded and predominantly cobble size. Their origin is an enigma, but Mustoe, a geologist from Western Washington University, concludes that they must have been derived from the Belt Supergroup of Idaho, Montana or British Columbia and transported into the area by water. The quartzites were subsequently mixed into the glacial deposits of the region during the Ice Age. The occurrence of well rounded quartzite cobbles in the Puget Sound area is truly remarkable since the nearest source is around 400 km to the east. This suggests that the dispersal of quartzite material from the Rockies preceded the uplift of the Northern Cascades and other inland ranges. We believe Mustoe is correct about the source and water transport of the quartzites. Oard examined one glacial deposit about 35 km northeast of Everett, Washington, which was being eroded by a stream, and about 1 out of 200 cobbles is a well-rounded quartzite. One cobble still retained percussion marks! This indicates that the ice sheet hardly weathered or damaged the surface of the quartzite cobbles. One disturbing note in Mustoe’s excellent article is that such anomalous ‘quartzites’ have been noted by many geologists, but no one has published anything on it: ‘Although many geologists have noticed these cobbles, I can find no published discussion of their occurrence.’63 One wonders why such an interesting observation full of provocative interpretations would not be published. We have documented the numerous areas of quartzite gravels west of their source areas in the Rocky Mountains. 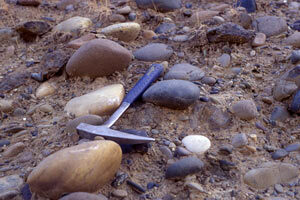 We started with central and northeast Oregon where large deposits of quartzite gravels have been found. They have been found on top of the Wallowa Mountains and on top of Gold Hill in the Blue Mountains. We have documented the many quartzite gravel locations in the Columbia River valley from the vicinity of The Dalles clear to the Pacific Ocean. These gravels contain quartzite mixed with rounded Columbia River Basalt clasts in various proportions. The outcrops along the Pacific Ocean are about 700 km from their nearest source. The quartzite gravels observed or described in the literature from south central Washington are commonly found on top of the Columbia River Basalt anticlines. 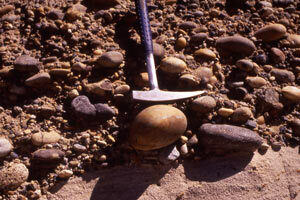 The quartzite gravels are isolated in southeast Washington, but they are extensive in the Lewiston/Clarkston area. They are also scattered in Hells Canyon. We reported on several isolated finds elsewhere in Washington and noted the surprising location in the Puget Sound area in which the quartzite cobbles are mixed with glacial debris. As with quartzite gravels east of their known source, the clasts west of the source are commonly iron stained and exhibit percussion marks. We saw very few pressure solution marks, and these were only in the Wallowa Mountains. In a subsequent article, we will analyze the meaning of all these observations of rounded quartzite cobbles and boulders, both to the west and east of their source area. We will start with uniformitarian attempts to explain these widely dispersed gravels. 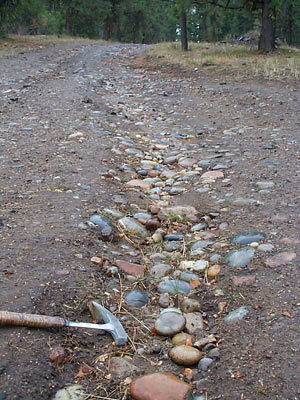 Rivers are unable to transport quartzite cobbles and boulders such long distances. The measured distances fit more directly with the Recessive Stage of the Flood that could easily and rapidly transport such material. From the spread of the quartzite gravels, we learn of other major events that occurred late in the Noahic Flood in what is now the northwest Untied States and adjacent Canada. We are grateful for Brent Carter providing information on the gold mines developed in quartzite gravels in the northern Blue Mountains. We thank Paul Kollas for providing figure 6. Andesite A dark coloured, fine grained volcanic rock with an intermediate (52 to 63%) silica concentration. Anticline An inverted U-shaped fold. Clast a fragment of rock broken off a larger piece of rock. Intermediate axis the axis between the longest and shortest dimensions of a rock that is commonly measured in the field. Lag course material dragged along on the bottomof a moving water body, therefore lagging behind the finer material. Quartzite a metamorphic rock formed from quartz rich sandstone that has undergone metamorphism. Oard M.J, Hergenrather J. and Klevberg P., Flood transported quartzites east of the Rocky Mountains, Journal of Creation 19(3):76–90, 2005. Return to text. Weis, P.L., Gualtieri, J.L. and Cannon, W.F., Mineral Resources of the Eagle Cap Wilderness and Adjacent Areas, Oregon, U.S. Geological Survey Bulletin 1385–E, U.S. Government Printing Office, Washington D.C., 1976. Return to text. Allen, ref. 3, p. 104. Return to text. Allen, ref. 3, p. 107. Return to text. Carson, R.J., Where the Rockies meet the Columbia Plateau: geologic field trip from the Walla Walla Valley to the Wallowa Mountains, Oregon, Oregon Geology 63(1), p. 25, 2001. Return to text. Bretz, J.H., The Satsop Formation of Oregon and Washington, Journal of Geology 25, p. 454, 1917. Return to text. 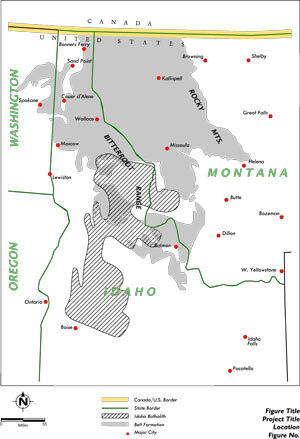 Warren, C.R., The Hood River conglomerate in Washington, American Journal of Science, 239:106–127, 1941. Return to text. Warren, ref. 8, p. 115. Return to text. Hodge, E.T., Geology of the Lower Columbia River, Geological Society of America Bulletin 49, p. 875, 1938. Return to text. Warren, ref. 8, p. 123. Return to text. Warren, ref. 8, p. 110. Return to text. Kollas, P.J., An analysis of an anomaly, unpublished manuscript, 1994. Return to text. Tolan, T.L., Beeson, M.H. and Vogt, B.F., Exploring the Neogene history of the Columbia River: discussion and geologic field trip guide to the Columbia River Gorge—Part II. Road log and comments, Oregon Geology 46(9), p. 111, 1984. Return to text. Oard, M.J., The Lake Missoula Flood Controversy and the Genesis Flood, Creation Research Society Monograph No. 13, Chino Valley, Arizona, 2004. Return to text. Personal observation Return to text. Anderson, J.L., Pomona Member of the Columbia River Basalt Group: an intracanyon flow in the Columbia River Gorge, Oregon, Oregon Geology 42(12):195–199, 1980. Return to text. Tolan, T.L. 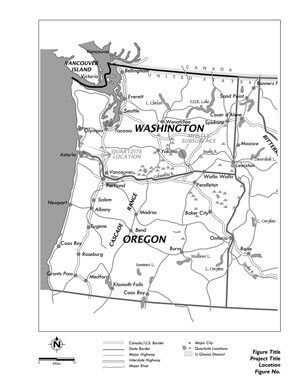 and Beeson M.H., Intracanyon flows of the Columbia River Basalt Group in the lower Columbia River gorge and their relationship to the Troutdale Formation, Geological Society of America Bulletin 95, p. 472, 1984. Return to text. Tolan, Beeson and Vogt, Ref. 15, p. 112. Return to text. Beeson, M.H. and Tolan, T.L., Columbia River Gorge: the geologic evolution of the Columbia River in northwestern Oregon and southwestern Washington; in, Hill, M.L. (eds. 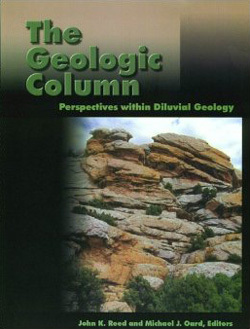 ), Geological Society of America Centennial Field Guide—Cordilleran Section, Boulder, Colorado, p. 326, 1987. Return to text. Bretz, ref. 7, p. 453. Return to text. Lowry, W.D. and Baldwin, E.M., Late Cenozoic geology of the Lower Columbia River Valley, Oregon and Washington, Geological Society of American Bulletin 63, p. 9, 1952. Return to text. Hodge, ref. 11, pp. 873–877. Return to text. Bretz, ref. 7, p. 451. Return to text. Bretz, ref. 7, pp. 446–458. Return to text. Lowry and Baldwin, ref. 24, p. 11. Return to text. Bretz, ref. 7, p. 450. Return to text. Orr, E.L., Orr, W.N. and Baldwin, E.M., Geology of Oregon, Fourth Edition, Kendall/Hunt Publishing Company, Dubuque, Iowa, p. 180, 1992. Return to text. Lowry and Baldwin, ref. 24, p. 17. Return to text. Bretz, ref. 7, pp. 447–448. Return to text. Bretz, J.H., The Late Pleistocene submergence in the Columbia Valley of Oregon and Washington, Journal of Geology 27, p. 491, 1919. Return to text. Bretz, ref. 7, p. 455. Return to text. Fecht, K.R., Reidel, S.P. and Tallman, A.M., Paleodrainage of the Columbia River on the Columbia Plateau of Washington state: a summary, RHO-BW-SA-318p, Rockwell Hanford Operations, U.S. Department of Energy, Richland, Washington, p. 34, 1985. Return to text. Warren, ref. 8, p. 111. Return to text. Smith, G.A., Sedimentology of proximal to distal volcaniclastics dispersed across an active foldbelt: Ellensburg Formation (late Miocene), central Washington, Sedimentology 35, p. 971, 1988. Return to text. Warren, ref. 8, p. 120. Return to text. Schmincke, H.-U., Stratigraphy and petrography of four upper Yakima Basalt flows in south-central Washington, Geological Society of America Bulletin, 78, pp. 1417–1418, 1967. Return to text. Warren, ref. 8, p. 113. Return to text. Campbell, N.P., Correlation of Late Cenozoic gravel deposits along the Yakima River drainage from Ellensburg to Richland, Washington, Northwest Science 57(3), p. 192, 1983. Return to text. Lindsey, K.A., Reidel, S.P., Fecht, K.R., Slate, J.L., Law, A.G. and Tallman, A.M., Geohydrologic setting of the Hanford Site, South-Central Washington; in: Swanson, D.A. and Haugerud, R.A. (Eds. ), Geologic Field Trips in the Pacific Northwest, Department of Geological Sciences University of Washington, Seattle, Washington, p. 1C4, 1994. Return to text. Reidel, S.P., The Saddle Mountains: the evolution of an anticline in the Yakima fold belt, American Journal of Science 284, p. 965, 1984. Return to text. Bretz, J.H., The Lake Missoula floods and the Channeled Scabland, Journal of Geology 77, p. 536, 1969. Return to text. Smith, G.A., Neogene synvolcanic and syntectonic sedimentation in central Washington, Geological Society of America Bulletin 100, p. 1489, 1988. Return to text. Newcomb, R.C., Ringold Formation of Pleistocene age in type locality, the White Bluffs, Washington, American Journal of Science 256:328–340, 1958. Return to text. Rigby, J.G. 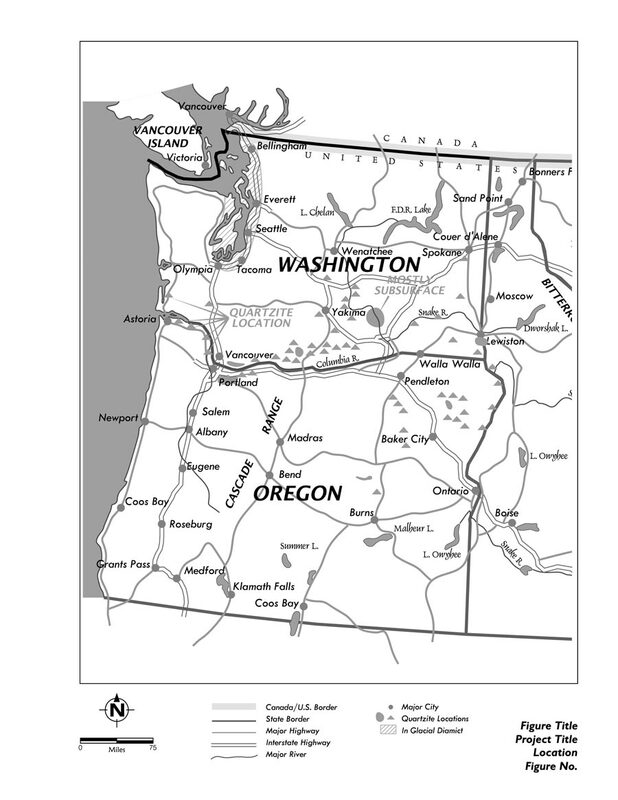 and Othberg, K., Reconnaissance surficial geologic mapping of the Late Cenozoic sediments of the Columbia Basin, Washington, Washington Department of Natural Resources, Division of Geology and Earth Resources Open File Report 79–3, Olympia, Washington, pp. 15–17, 1979. Return to text. Fecht, Riedel and Tallman, ref. 35, p. 32. Return to text. Mackin, J.H., A Stratigraphic Section in the Yakima Basalt and the Ellensburg Formation in South–Central Washington, Washington State Division of Mines and Geology Report of Investigations No. 19, Olympia, Washington, 1961. Return to text. Reidel, S.P., Emplacement of Columbia River flood basalt, Journal of Geophysical Research 103(B11), p. 27,398, 1998. Return to text. Lupher, R.L., Clarkston stage of the Northwest Pleistocene, Journal of Geology 53:337–348, 1945. Return to text. Pankratz Kuhns, M.J., Late Cenozoic deposits of the Lower Clearwater Valley, Idaho and Washington, M.S. thesis Washington State University, Pullman, Washington, 1980. Return to text. Webster, G.D.,Pankratz Kuhns, M.J. and Waggoner, G.L., Late Cenozoic gravels in Hells Canyon and the Lewiston Basin, Washington and Idaho; in: Bonnichsen, B. and Breckenridge, R.M., Cenozoic Geology of Idaho, Idaho Department of Lands bureau of Mines and Geology, Moscow, Idaho, pp. 669–683, 1982. Return to text. Pankratz Kuhns, ref. 52, p. 20. Return to text. Pankratz Kuhns, ref. 52, p. 23. Return to text. Kehew, A. E., Drainage history of the Lewiston Basin, Northwest Science 53(4):242–250, 1979. Return to text. Vallier, T., Islands & Rapids:A Geological Story of Hells Canyon, Confluence Press, Lewiston, Idaho, pp. 33–34, 1998. Return to text. Vallier, ref. 57, p. 34. Return to text. Leverett, F., Glacial formation in the western United States, Geological Society of America Bulletin 28:143–144, 1917. Return to text. Bretz, J.H., Glacial drainage on the Columbia Plateau, Geological Society of America Bulletin 34, pp. 588–589, 1923. Return to text. Warren, ref. 8, p. 119. Return to text. Mustoe, G.E., Skolithos in a quartzite cobble from Lopez Island—are Western Washington’s oldest fossils Canadian emigrants, Washington Geology 29(3/4):17–19, 2001. Return to text. Mustoe, ref. 62, p. 18. Return to text.